Sometimes, I’ll come across an advert which is so bad — so heinously wrong in one way or another — that I can’t help but talk about it. Welcome to Badvertising: my occasional roundup of advertisements that just miss their mark in one way or another. The idea spawned from a terrible advert I spotted at Weybridge train station this week. I can confidently say it’s one of the worst Out of Home ads I’d seen on a transport network, and since then, I’ve not been able to stop looking at other ads with an ultra-pessimistic and ultra-critical eye. So, brace yourselves, as we dig into round one of Badvertising. Don’t agree with me? I’d love to hear why in the comments. There are so many things we need to talk about here. So many things. Beyond the fluctuating design treatments, colours, and font weights, have you SEEN that Photoshop? I mean, it’s so terrible it’s like they weren’t even trying to remove the models’ mouths. And I don’t know about you, but it feels creepy as hell to me. It’s like that scene from The Matrix, only somehow even more terrifying. As in, a play on R.I.P. As in, ‘rest in peace’. 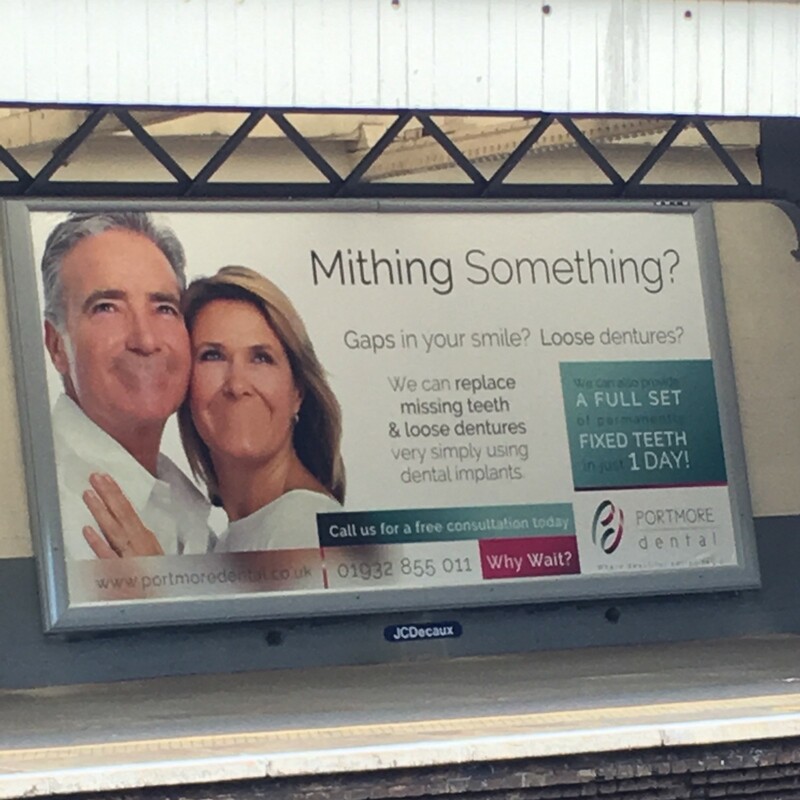 This is not a good advert. I’m sorry. Associating flying with death is one of the worst creative propositions I’ve come across, especially in our current climate. I’d REALLY like to know the committee of people this advert surely went through without anyone piping up and pointing out the obvious. Also: there’s a supporting picture of a young child. Young children on planes do not make up my idea of ‘peace’ at the best of times, I don’t know about you. My jaw hit the floor when I first watched this. I think I know what they were trying to do here: they said “we’ll make a cute song that’s like ‘Dumb Ways to Die’, it’ll go viral, and people will remember our product!” At least: in an ideal world. You for me and me for you, I want you to be my number two. …My friends all know I’m feeling down — because my inside’s white when it should be brown. Some people like cats, others like dogs. Me? I’m happy with a nice brown log. O.M.G. 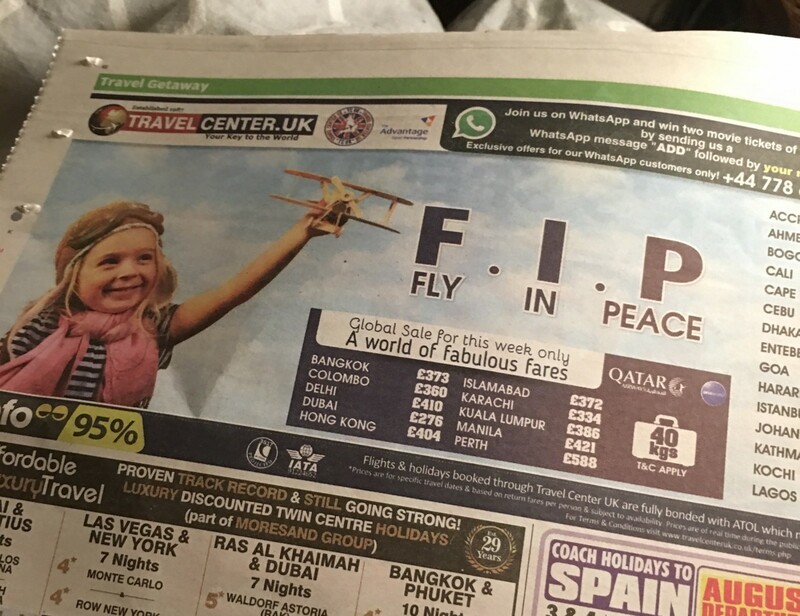 Or F.I.P., I don’t know. Regardless of what the lyrics are, it’s only taken me until now, and until I researched what Docusol actually is, to realise the ad is not an advert for nappies. It’s an advert for medicine. For nearly two minutes the ad actually fails to explain what their product does and the need it might be addressing. Dumb Ways to Die worked because it was silly. And cute. You can tell Make a Nappy Happy was made with the same intention — for it to go viral and get shared; there’s even a reference to Tinder in it. And I really respect Docusol’s idea to take the dreariness out of advertising-to-mothers by making their adverts fun and light-hearted. But I’m sorry to report that Docusol’s video has received just 2.6k views on their YouTube channel, and their channel has amassed just four subscribers in total. I say it’s because the ad is terrifying. And I don’t care that the singer’s got a nice warm, friendly tone. I don’t care that it was sung over a nice acoustic guitar to keep the jauntiness of Dumb Ways to Die. IT’S A NAPPY SINGING ABOUT NICE BROWN LOGS.